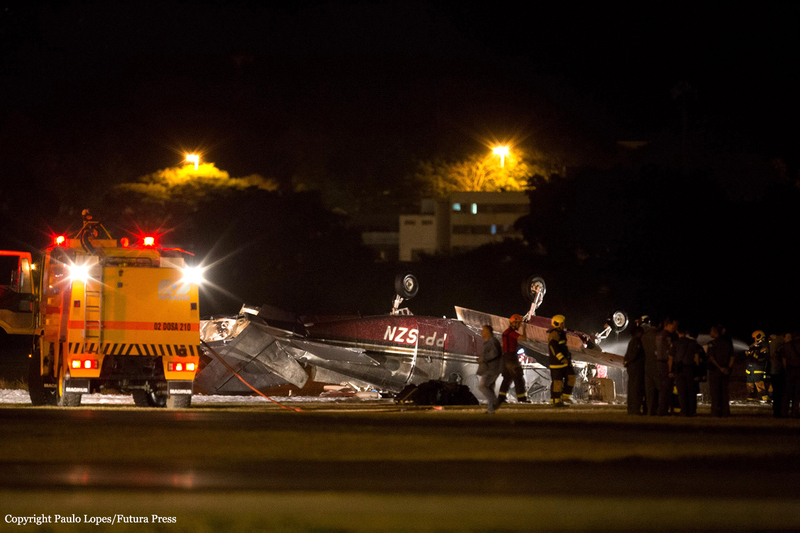 While approaching Campo de Marte Airport by night on a flight from Videira, the crew encountered technical problems with the gear and completed two low passes over the runway to confirm the problem. 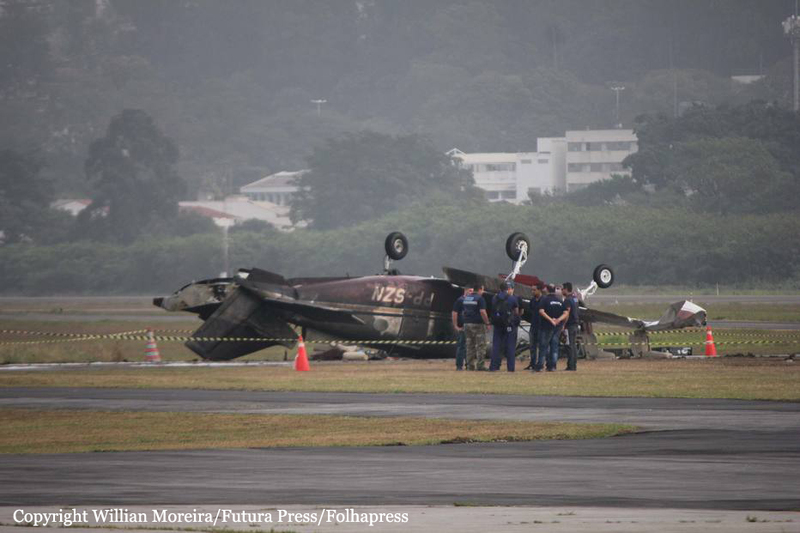 During a third approach, the twin engine airplane banked left then overturned and crashed inverted in a huge explosion about 100 meters to the left of the runway. 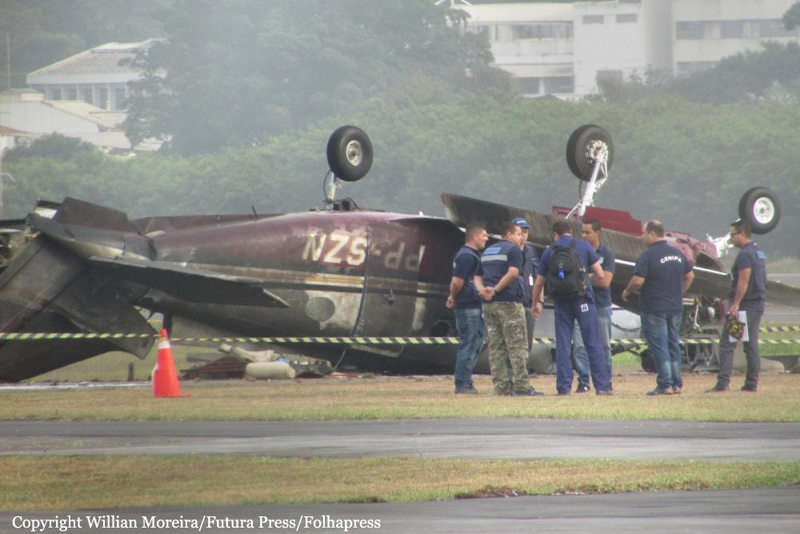 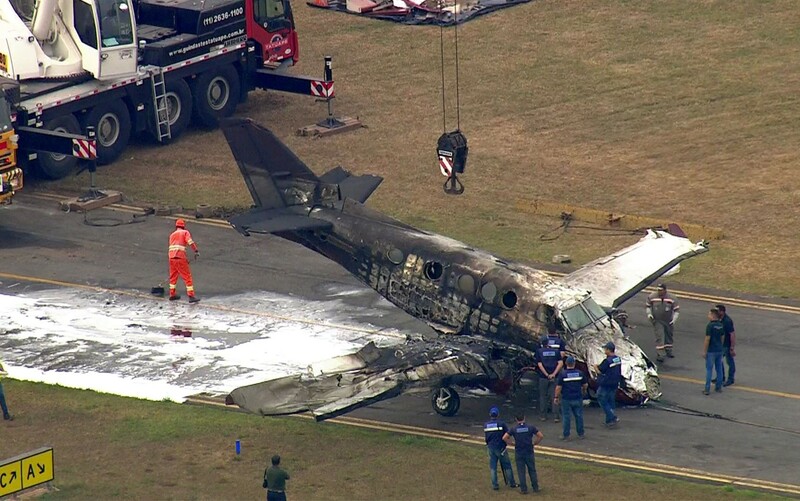 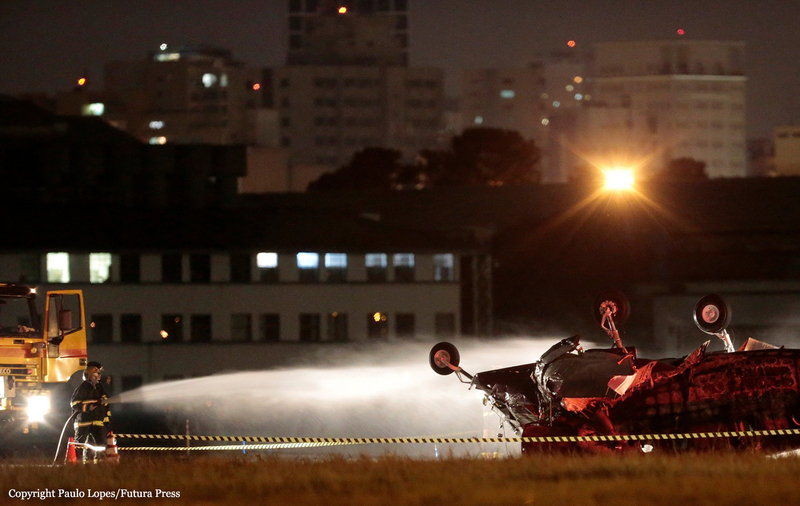 Six occupants were injured while one of the pilot was killed.